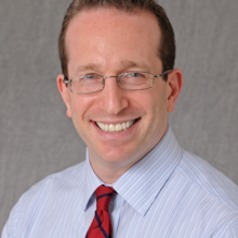 Adam Friedman, MD, FAAD is an Associate Professor of Dermatology and serves as Residency Program Director and Director of Translational Research in the Department of Dermatology at The George Washington University School of Medicine & Health Sciences and George Washington Medical Faculty Associates. Dr. Friedman completed his undergraduate training at the University of Pennsylvania and graduated with Distinction in Dermatologic Research at the Albert Einstein College of Medicine in New York. He completed his internship at New York Hospital Queens, and returned to Einstein for his Dermatology residency and was appointed Chief Resident during his final year. Dr. Friedman joined the Einstein faculty after graduation from 2010-2015, during which time he was the Director of Dermatologic Research, Director of the Translational Research Fellowship, and the Associate Program Director. Dr. Friedman is currently investigating novel nanotechnologies that allow for controlled and sustained delivery of a wide spectrum of physiologically and medicinally relevant molecules, with an emphasis on treating infectious diseases, accelerating wound healing, immune modulation, and correcting vascular dysfunction. He holds several patents derived from these investigations, and has published over 140 papers/chapters and 2 textbooks on both his research as well as a variety of clinical areas in dermatology with an emphasis on emerging medical therapies. He has received awards from multiple organizations such as the American Dermatologic Association, American Academy of Dermatology, American Society for Dermatologic Surgery, Journal of Drugs in Dermatology and the La Roche Posay North American Foundation. Dr. Friedman is also committed to resident and medical education. He currently serves on the AAD Sulzberger Committee on Education as well as the Poster Task Force, and is the Senior Editor of the Dermatology In-Review Online Workshop and Director of the Oakstone Institute Dermatology Board Review. Dr. Friedman served as the Chair of the Dermatology Section of the New York Academy of Medicine and now as a Fellow Ambassador, and in line with his research interests, as the Vice President of the Nanodermatology Society. Dr. Friedman’s clinical interests span the gamut of medical and pediatric dermatology. Dr. Friedman lectures extensively in both national and international forums, and serves on a myriad of committees and advisory boards. He is a dermatology expert for healthguru.com and everydayhealth.com, and hosts an online series titled “Ask an Expert.” Dr. Friedman has appeared on television news programs such as Good Morning America and Fox news, and has been quoted in numerous leading publications, including Time.com, WebMD, Health, MSN.com, Vogue, Dr. Oz The Goodlife, Good Housekeeping, and Women’s Day.